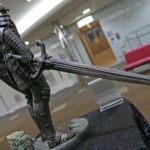 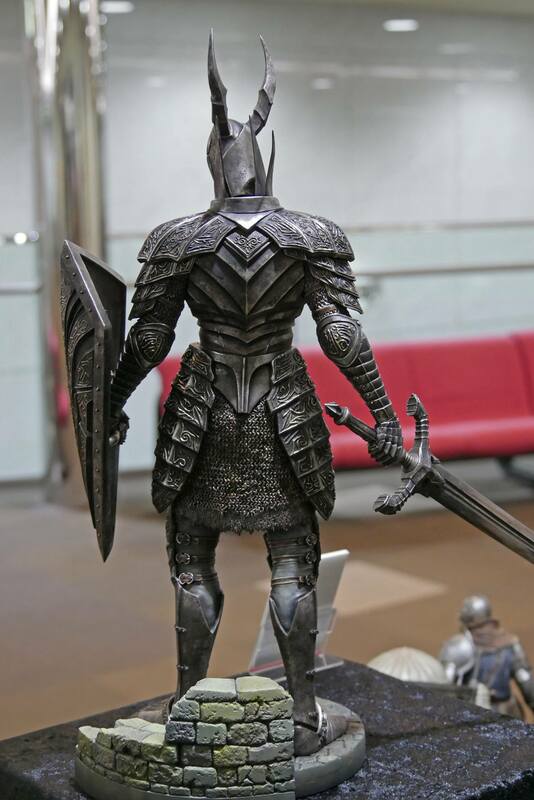 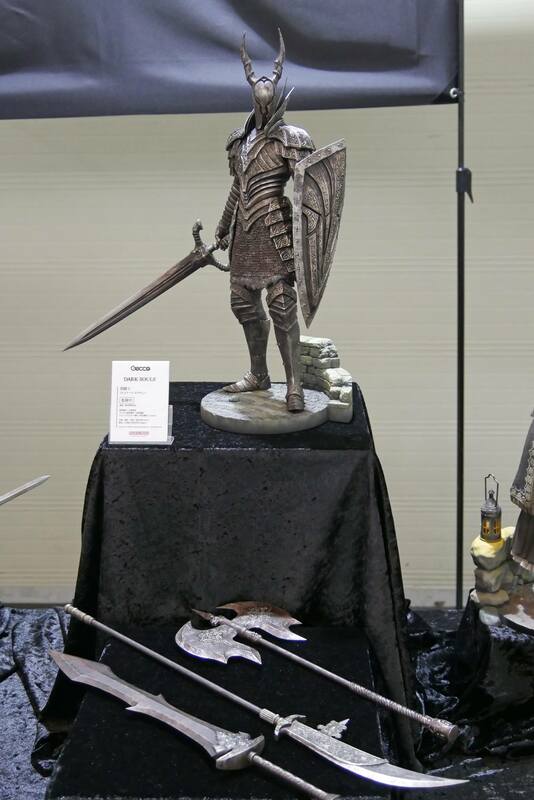 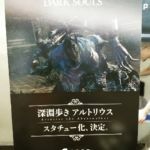 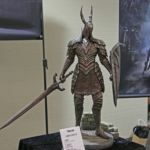 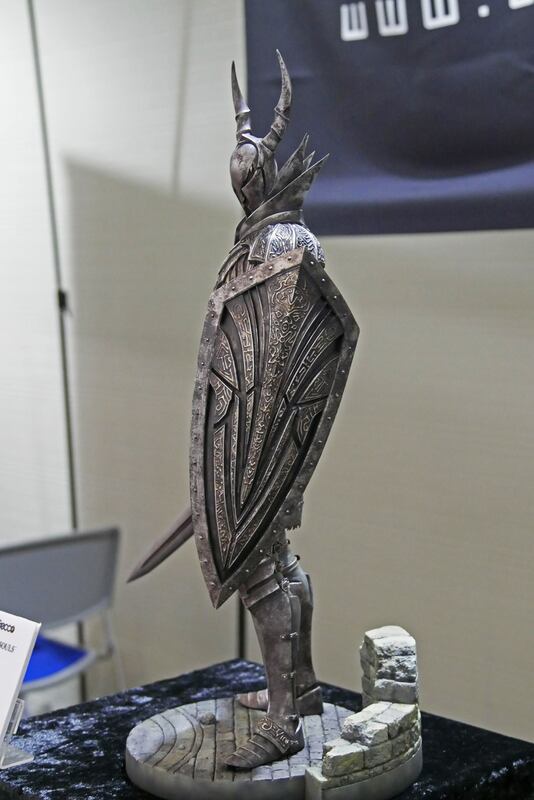 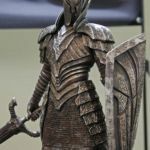 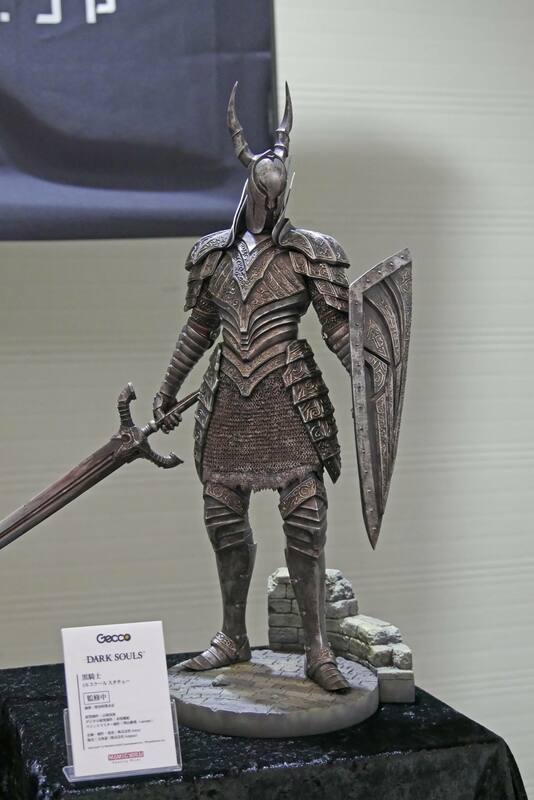 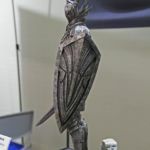 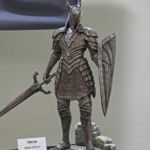 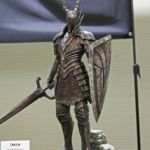 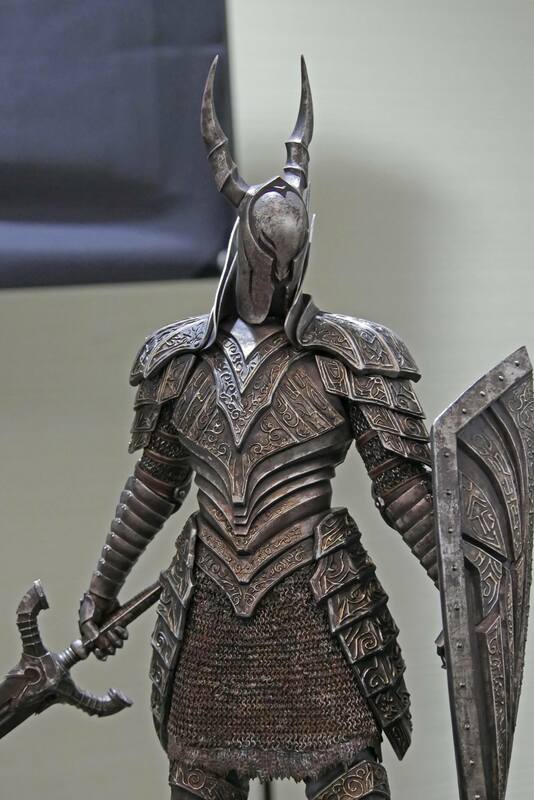 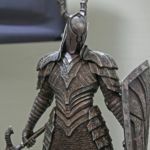 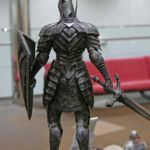 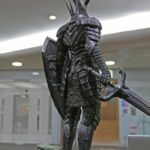 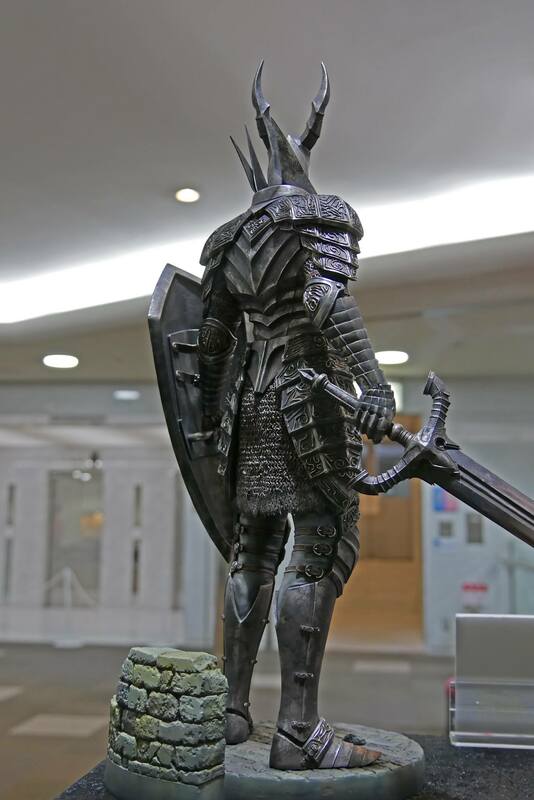 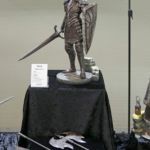 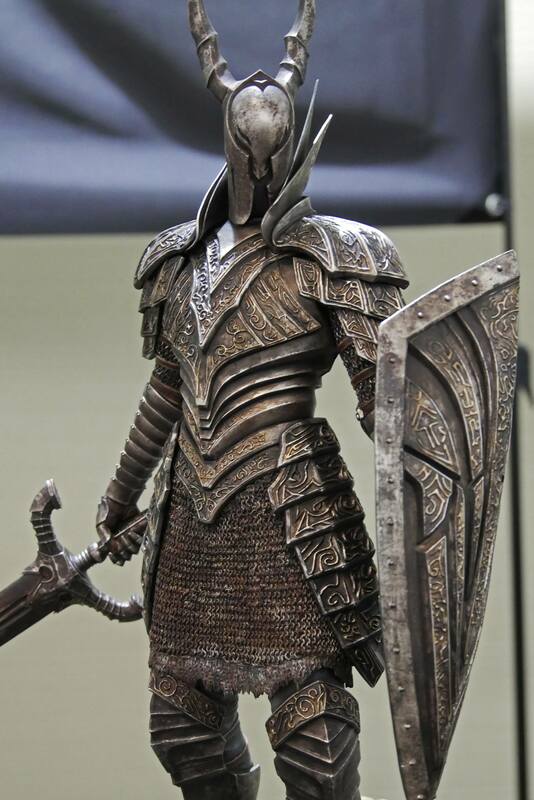 At an event by video game studio From Software, Gecco debuted their upcoming Dark Souls – Black Knight 1/6 Scale Statue. 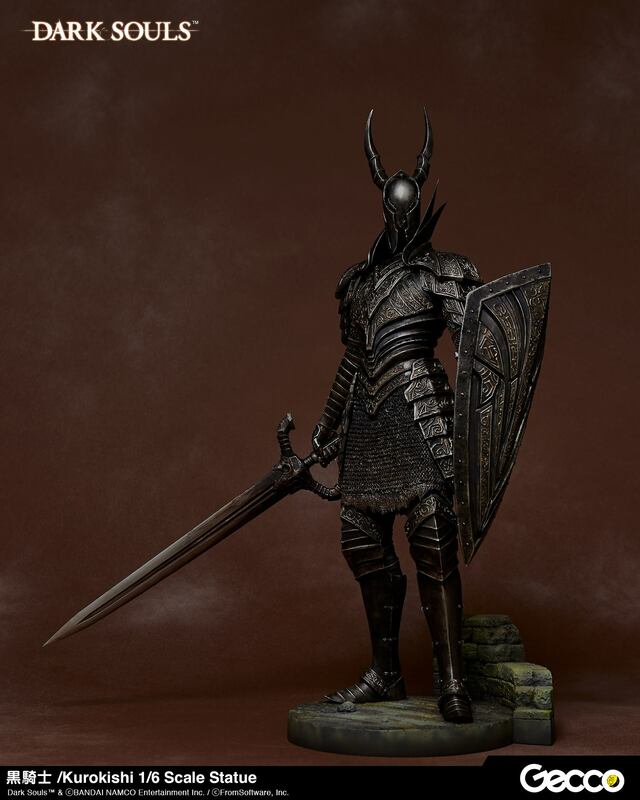 In the game, Black Knights are unique enemies that do not respawn (except at the Kiln of the First Flame). 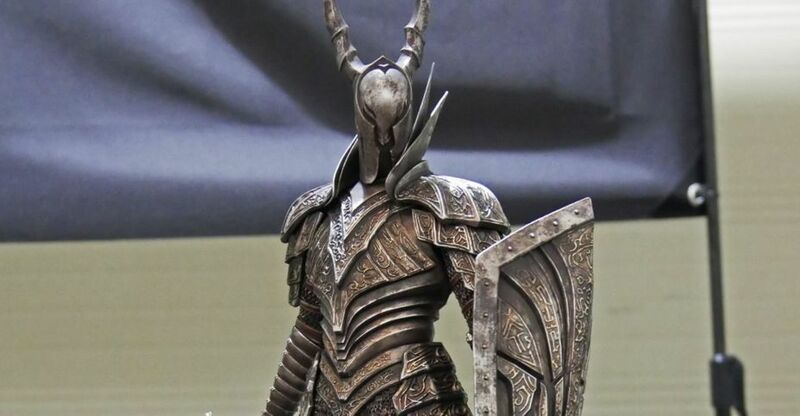 Formerly Silver Knights serving Gwyn, Lord of Sunlight, the knights were charred black in battle near the Kiln of the First Flame. 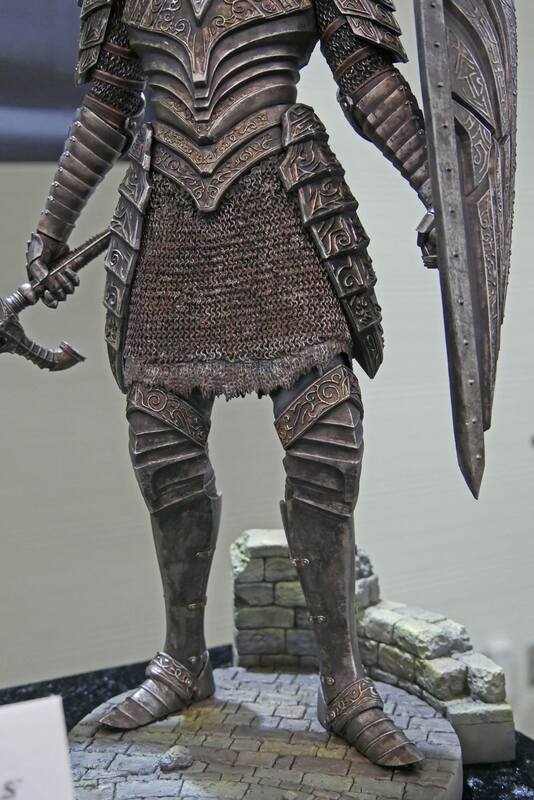 When Gwyn united the First Flame, the knights were burned to ashes, destined to roam the land as spirits. 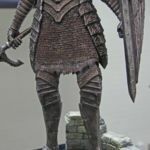 This new pre-painted statue looks to include multiple weapons. 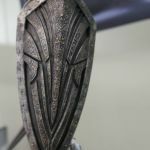 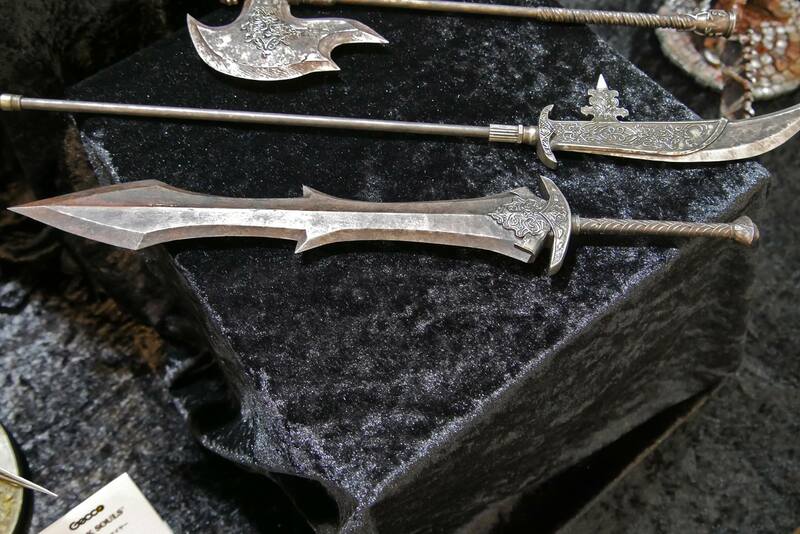 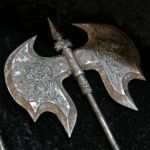 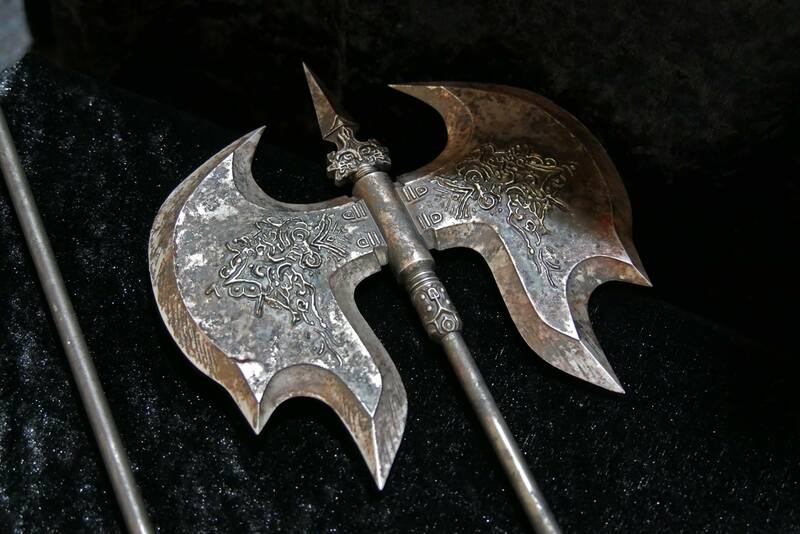 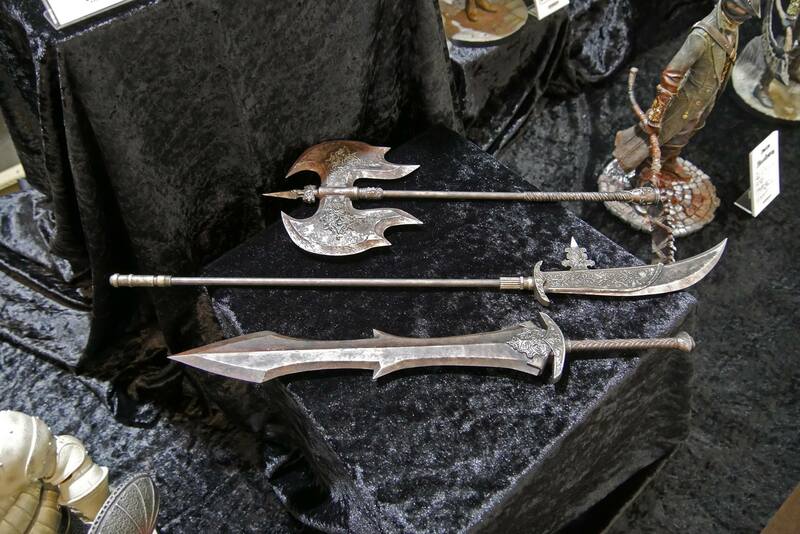 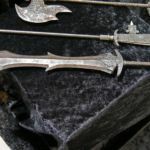 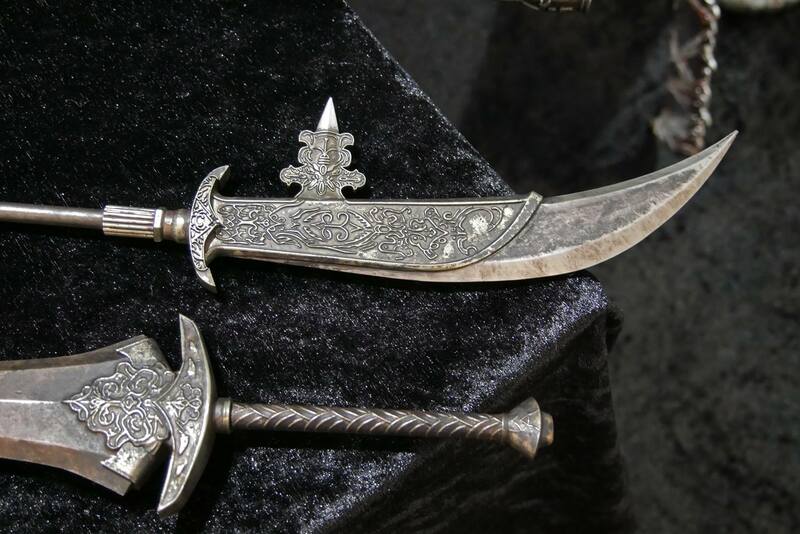 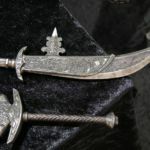 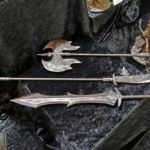 Shown at the event were two sword, a long spear and a battle axe. 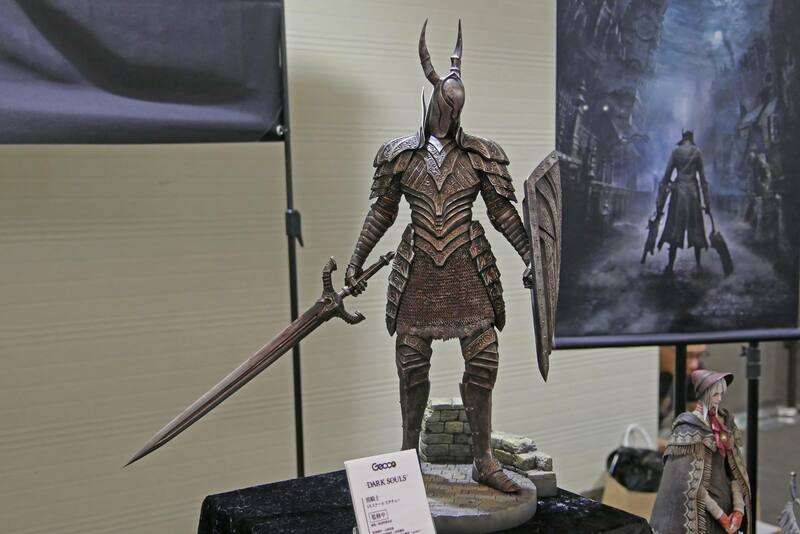 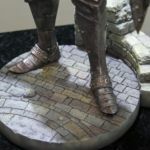 Also announced, via card art, was an Artorias 1/6 Scale Statue from Dark Souls. 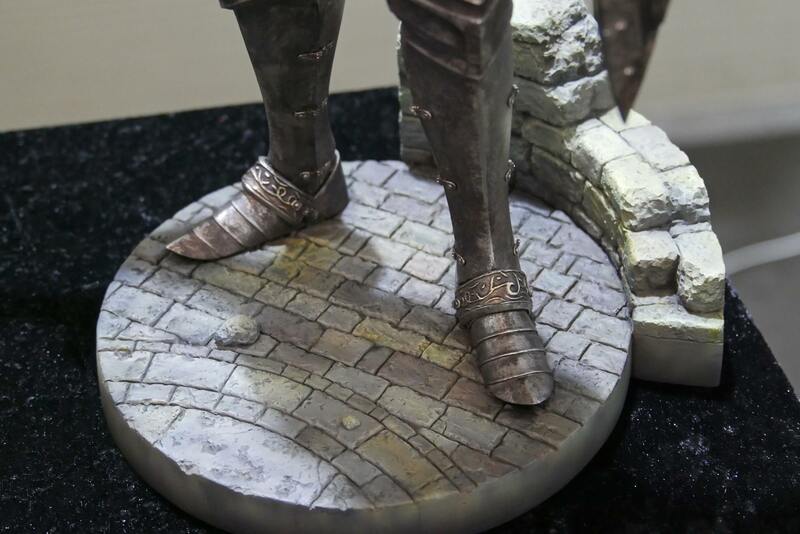 We’ll update with official photos and details when they are released. 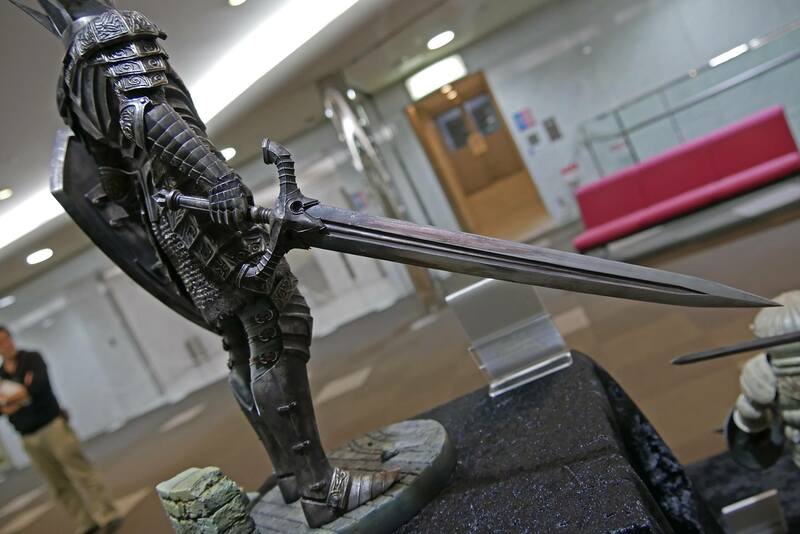 For now, see the event photos after the jump. 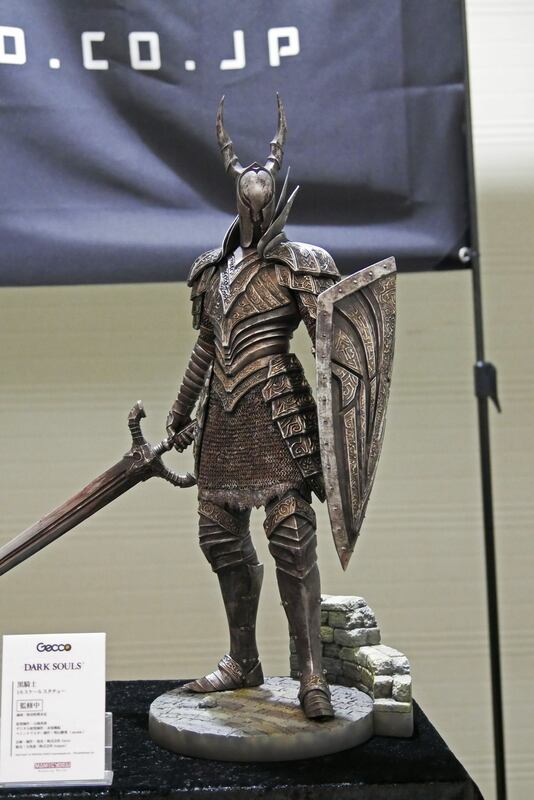 It's good to see that Gecco is continuing with this line and that they remain committed to high quality sculpts. 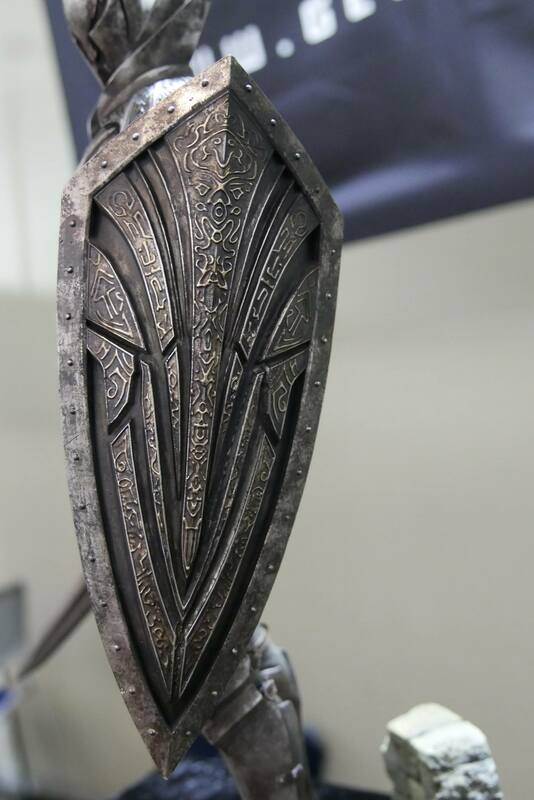 The fear these things used inspire in me was comical. 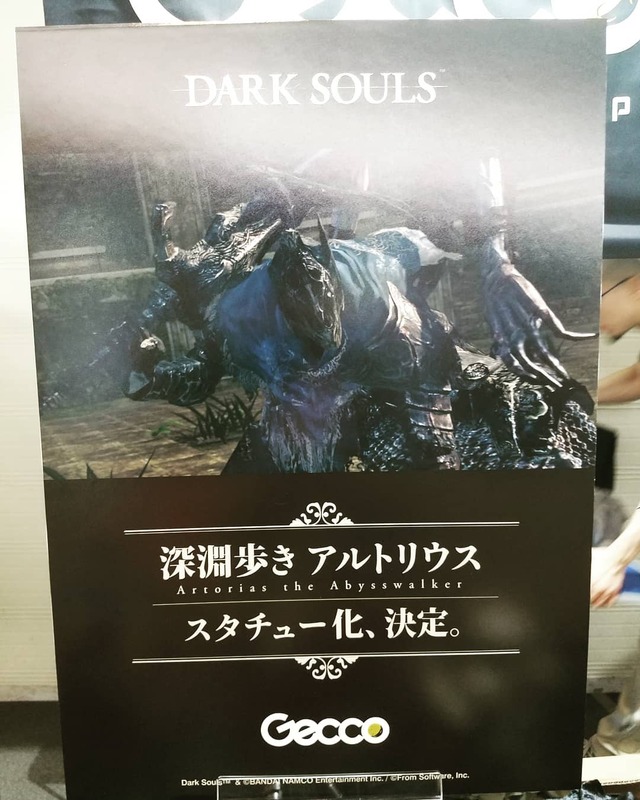 I was so happy to learn that upon killing them, they don't respawn.